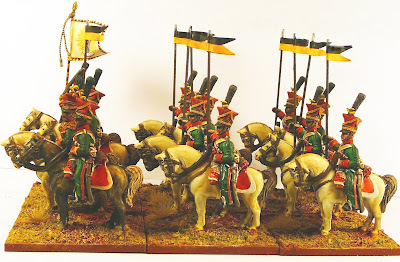 For my Lasalle Avant Garde Division, I needed a large cavalry unit of Uhlans (Lancers), the only unit I could find that were at the Battle of Wagram were the 2nd (Schwarzenberg), but I could not resist the 3rd, as they had distinctive red czapkas. These are Front Rank figures and as usual they are quite good. The figures were pretty detailed, but I did enjoy painting them. I used GW Dark Angels Green Ink as the basis for the uniform. This was the first time I used a green ink and I was very happy with the result. Single coat over a white primer great two tone result. I used the mid tone AP on the figures and the light tone AP on the horses. Here are the command stands, I could find no information on the trumpeter, so I decided to put him on an alternate coloured horse and paint his lapels and cuffs yellow. Also went ahead and attempted my first striped flag pole, needs a bit more work, but ok for first go. The flag and pennants are from GMB, the pennant have been heavily overpainted. 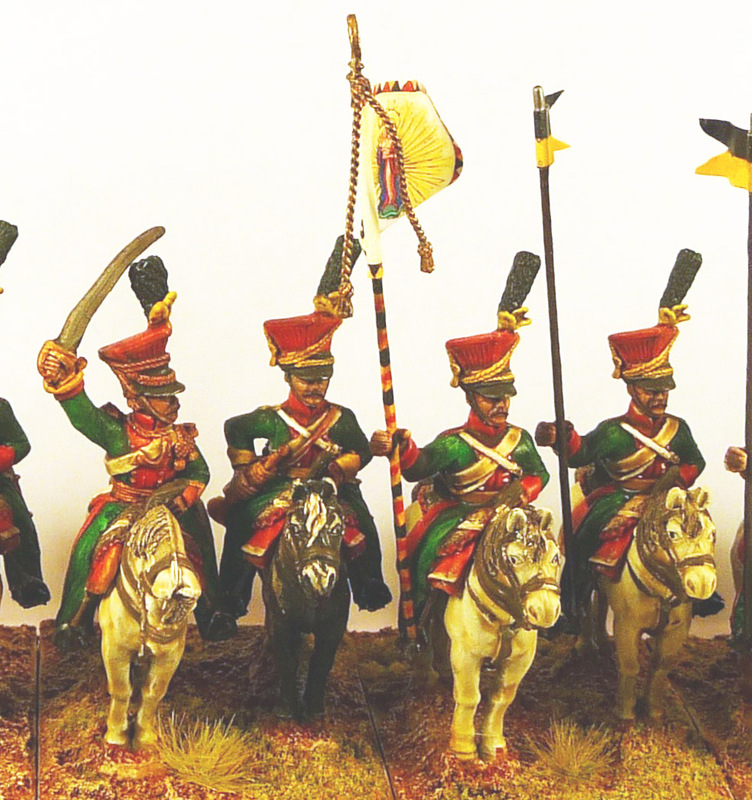 Side view, some day I will make an attempt to paint on a regimental mark on the saddle cloth, but not today. Next up are the 7th Jagers, which is a bit of a relief as I am only painting 16 figures as they will be in skirmish order. 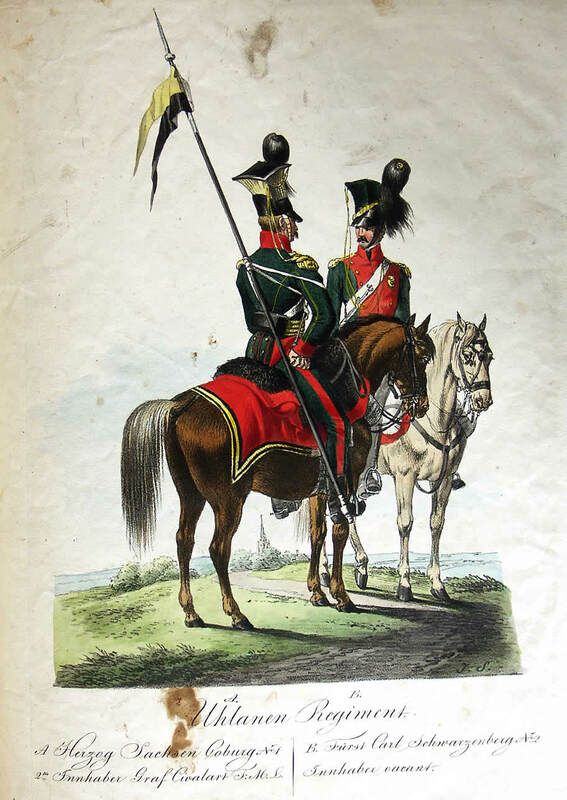 Hi John, these are amongst my favourite Front rank cavalry - I've done mine up as Lithuanian Uhlans but I love your Austrian 3rd Regt - the red czapkas make them quite distinctive. Were they all mounted on greys? I like your regiment presented that way. Austrian Uhlans are always beautiful wargaming units with their coloured uniforms. A very nice job! Another fine looking unit John.